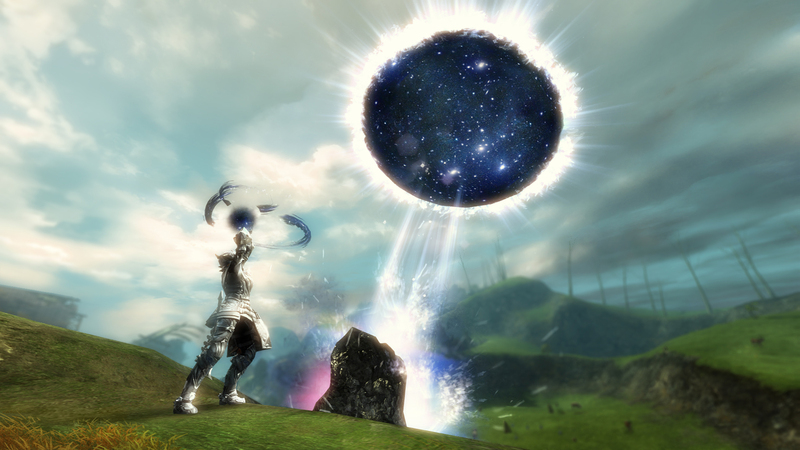 Today we’re making some quality-of-life changes to the unlimited gathering tools you can buy from the Gem Store, and we’re expanding the variety of limited-use tools with bonus effects available in the game. Read on to find out how to get the most out of every swing. 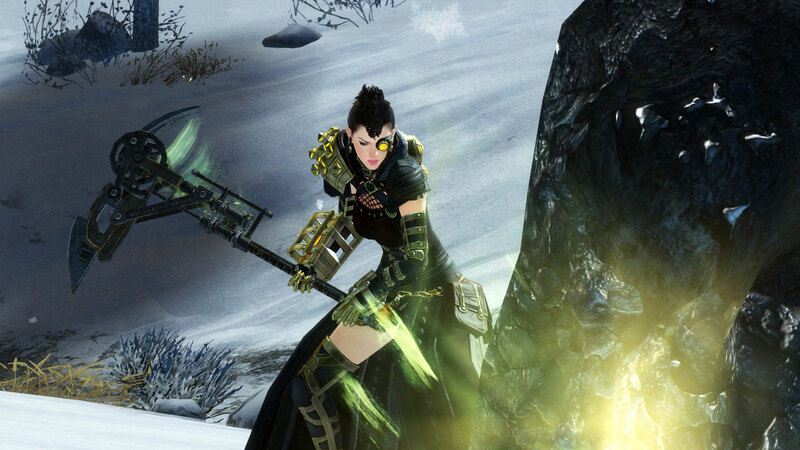 That’s right—we’re adding gathering tool skins to the wardrobe! You can change their appearance with transmutation charges the same way you do your armor, weapons, and backpacks: open the Wardrobe in your Hero panel, click on an equipped tool, and select a skin you’ve unlocked. The preview will display each tool’s on-use effect. You can use gathering tool skins across your entire account, and they can be applied to limited-use tools as well as unlimited tools. Previously, an eclectic selection of tools had a chance to return a small amount of extra materials while gathering: Unbound Magic Gathering Tools (both vendor purchased and unlimited), Frostbitten tools rewarded during Wintersday, the Lucky Dog Harvesting Tool, and the Watchwork Mining Pick. We intended this to be a nice little bonus, but instead it felt incomplete and arbitrary. We wanted to organize the system to make it clear where bonus effects come from and how players can get them, both through the Gem Store and in the game. Now you can customize your gathering tools with glyphs, a new type of upgrade component. 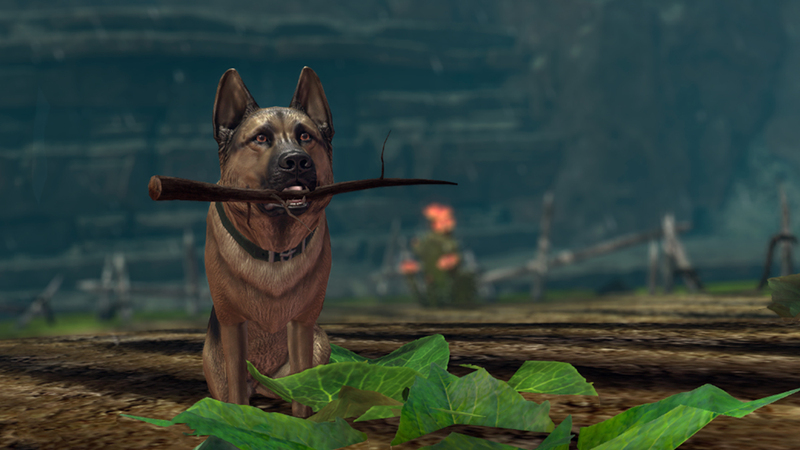 If you want your Lucky Dog Harvesting Tool to fetch scraps of leather instead of trophies, swap its Glyph of the Scavenger for a Glyph of the Leatherworker. Most tools in the game will now have an upgrade slot, and you can swap glyphs in and out freely without using an upgrade extractor. Glyphs applied to limited-use tools will go back into your inventory after you consume the final gathering charge. Each of these glyphs is also available as a rare drop from Black Lion Chests. Glyphs found in chests are account-bound on use and can be bought and sold through the trading post. Watchwork Mining Pick (Glyph of the Watchknight): Gain a 33% chance to receive a bonus Watchwork Sprocket. Lucky Dog Harvesting Tool (Glyph of the Scavenger): Gain a 33% chance to receive a bonus fine crafting material. Infinite Unbound Magic Gathering Tools (Glyph of the Unbound): Rewards unbound magic while gathering. If you already own these tools, visit a Black Lion Exchange Specialist in any major city or lounge to trade them for an updated version at no cost. Limited-use tools with inherent bonus effects are the only tools exempt from glyph swapping, and their effects can’t be removed or changed. Gathering merchants have set up shop in every major city and lounge to offer limited-use tools with bonus effects in exchange for karma. They’re currently stocking tools with bonus effects equivalent to Glyph of the Tailor, Glyph of the Leatherworker, Glyph of Industry, Glyph of Flight, Glyph of the Watchknight, and Glyph of the Scavenger. We plan to add more glyphs with future unlimited gathering tools. New bonus effects will be exclusive to the unlimited tool they’re introduced with for a period of time, after which we’ll add them to tradeable Black Lion Chest glyphs and limited-use tools from gathering merchants. We hope your logging, mining, and harvesting will be a little more bountiful in the future. Happy gathering! *This offer is not available to Play for Free accounts. Next story Thank You for Being Our Friends!